We’re getting closer and closer to Christmas, and this Sunday, traditionally called Rose Sunday or Gaudete Sunday, points in that direction energetically. We can tell from the reading from Zephaniah, the wonderful canticle from Isaiah, and the reading from Philippians. These readings are all about rejoicing, because change is coming. God’s people are going to be saved. In each case, the Scripture is directed to desperate people who have been in a difficult situation. And there’s all this hope, all this rejoicing, because they think that things are about to change. Gaudete! Gaudete! Good theology, that, right? Because we know the story of this Advent season. God is about to take on human form to save us. Fabulous! Exciting! The turning of the wheel of human existence to a better situation. ..
…and then we get to this Gospel. What a downer! John the Baptist, in full-on scary prophet mode, stinky and sweaty and reeking of the locusts he’s been eating – no wonder he’s cranky – yelling at those who showed up for baptism “You brood of vipers!” In Matthew’s Gospel, he’s directing his wrath at Pharisees and Sadducees who are indulging in a little intel-gathering about this strange guy who baptizes people, but in Luke’s version, John yells at everybody. 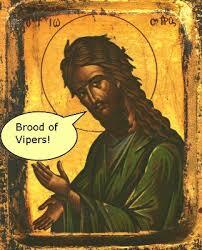 “You brood of vipers! Who warned you to flee from the wrath to come? Bear fruits worthy of repentance. Do not begin to say to yourselves, 'We have Abraham as our ancestor'; for I tell you, God is able from these stones to raise up children to Abraham. Even now the ax is lying at the root of the trees; every tree therefore that does not bear good fruit is cut down and thrown into the fire." Didn’t anyone ever tell this guy that you get more bees with honey than with vinegar? Well, maybe he’s not feeling the whole metaphor, since honey and insects have been the majority of his diet lately. Maybe it’s the urgency: get your act together, people. Something world-shattering is about to happen and you need to clean up your act. This can’t be sugar-coated. It’s a straight-up shot of vinegar: repent! Do it now! So much for the happy-clappy Gaudete Sunday stuff. Luke’s John the Baptist is all about preparing people…because you don’t get the sweet happy-clappy joy without being ready to receive it as more than just presents under the tree. It’s about the opportunity to welcome the greatest of gifts, God with us, Emmanuel. And we cannot understand that gift without repenting of the many ways we have acted that would suggest that we are unworthy of the gift. It’s the whole “coal in the stocking” thing without the elfin charm. John’s equally simple in his response. He gives very direct guidance: share what you’ve got, because there are people who have less than you. Don’t rip people off if you’re in a position of power over them. Be satisfied with what you have and don’t take from others. It’s not complicated theology. It doesn’t require a divinity degree to figure it out. Do the right thing. Prepare yourselves for the One who is coming by living into generous and honorable relationships with one another. Well, it strikes me as a little odd, that language of good news. To my 21st century ears, it sounds like he’s mostly scaring people into preparing themselves. But perhaps not to the listeners of Luke’s time. John’s words forbid them to rely on the fact that they are part of God’s chosen people – they can’t rely on their tradition for special dispensation. They have to work on being faithful and righteous; they cannot take their status for granted. How many times do I fail to work at living faithfully? How many times do I avoid the eyes of the person begging on the street corner? How many times do I manipulate a situation to get what I want? How many times do I say “I’m fine. It’s those other people who are unfaithful,” all because I don’t want to have to engage them across our differences? It isn’t just the Pharisees and Sadducees in this story – Luke’s John the Baptist points to the whole crowd. It isn’t just the people who believe differently than we do, or who do not believe at all, who are in the wrong. We manage to do it every single day…or at least I do, when I’m feeling a little Grinch-y, when I’m jealous of someone else’s success, when I worry about what I want at the expense of someone who needs it more. But Jesus is coming. I – we ALL – are about to get the best of all possible gifts: God in human form. Are we in a place to be ready for him? The good news is coming, but if we aren’t ready to hear the challenge that that good news brings, we are not going to hear the joy of that good news. So, my fellow vipers, you and I, we have work to do. Joy will come, but we have to be ready. It’s time for us to be kind and generous. It’s time for us to be happy with what we have. It’s time for us to be good fruit, not unripe persimmons, so sour on the tongue. It’s time for us to be nourishing wheat, not inedible chaff. As God transforms Godself into human vesture, even a viper can become a vibrant and loving and righteous bearer of sweet and nurturing fruit. We brood of vipers, we can be a garden of delight, but it takes some work, some repentance. It’s time to get ready. We’ve only got a little while to go. Journeys are usually fraught with questions at the front end. Does the itinerary work? Can I get a plane fare that won’t require a second mortgage? Will the dog-sitter be able to manage my recalcitrant beagle? Will the hotel be to my liking? Will I be able to find food that doesn’t give me indigestion? Will I be stuck sitting next to someone on the tour bus who chatters incessantly? I’m sure you can fill in the blanks with other questions that have run through your mind at the onset of a journey. I’ve got an endpoint, a goal. What’s my road map? Now some of us here are old enough to be able to read actual paper maps. 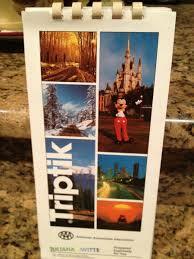 Some of us remember ordering a TripTik map from AAA – a sequence map of do this, turn here, this is a toll road, now get off here, and so forth. Its current day digital counterpart is a GPS system. I relied on a GPS app, Waze, to get me here this morning. Worked spendidly, and I needed it, given that I had only had a single cup of coffee when I left the house. These are great tools to get us to a goal. But when Jesus responds to the fellow who asks the question, this rich young man, he suggests a different kind of map. It’s sort of like a Michelin Guide. 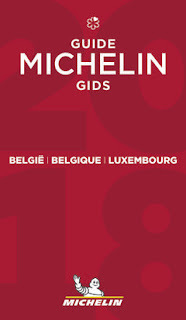 Anyone here ever use those red Michelin books? Yes, they’ve got maps, the old-fashioned kind that would make me dream about going to far-off places when I was a child. But they’ve got a whole bunch more, like special attractions. And like listings of restaurants along the way. Because the French certainly understand that a vital part of any journey is eating along the way. It’s truly a shift from destination to the way of the journey. I love their rating system for restaurants. They give stars. The only three-star Michelin restaurant I know near here is the Inn at Little Washington. My husband and I went there for dinner for a major anniversary before I was a priest. It was phenomenal. Phenomenally expensive, too, but a lifetime memory. I’m glad I have that memory, because I surely couldn’t afford it these days. But it was without a doubt worth a special journey, vaut le voyage! I don’t know about your GPS, but Waze NEVER suggests a restaurant that’s vaut le voyage! I can ask it where’s a restaurant nearby, but usually the restaurants are the fast-food kind, not anything that’s worth a detour, much less a special journey. 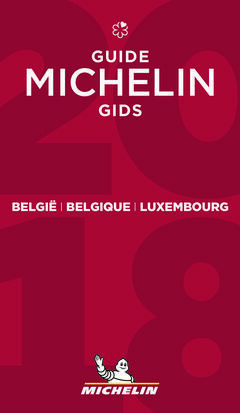 But that Michelin Guide, it says the journey is as important as the destination. Very French, but also, in a way, very Jesus. In other words, don’t just follow the TripTik or your GPS, go out of your way to live INTO this journey, don’t just take a detour and think that’s enough, take a SPECIAL trip that’s probably way out of your comfort zone to get to the most precious thing: eternal life. Love each other. Love the lovable. Love the unlovable. Democrats, love Republicans. Republicans, love Democrats. Facebookers, don’t unfriend the people who post things you disagree with – love them and enter into civil and honorable dialogue with them. Give until it hurts, even to those you think don’t deserve your gift. Remember, if we go all “Judgy McJudgerson” on others, imagine what God could do in judging us. Now our rich young man really has a problem with Jesus’ Michelin Guide to eternal life, because he has many things, and the idea of giving them all away for the benefit of the poor? Not so attractive. You worried about what would await you after your beloved Rev. DR retired. God provided Rev. JP, a wise and warm temporary shepherd. You worried about what sorts of candidates your Search Committee would receive. God provided a good and healthy pool of candidates for their prayerful consideration. You worried if the final recommended candidate would meet the scrutiny of the Vestry. God assured that the candidate did, with flying colors, because the Search Committee did their work listening for God’s voice, God’s will. And now you are ready to welcome your new rector, the Rev. VH. I know her well. She is intelligent, deeply spiritually grounded, energetic, loving. She is delighted by this call and looks forward to being with you very soon. This leg of your journey is nearly concluded. But our life journey continues. As you welcome V, remember that we are not done with the journey. We are all on a much bigger journey, a journey toward Heaven – and to be clear, I’m not saying we’re all on the verge of death – but all of our lives are the journey that Jesus describes in his Michelin Guide answer. You get to eternal life by living this life in a very particular way. Care for others as much as you care for yourself, seek God’s will over your own, worry more about how you live your life now than worrying about checking off boxes, and the promise of heaven will come to you. Try, and even if you do not succeed in every moment, remember that all things are possible for God. You saw that in this journey of transition to your new rector. Trust that it is equally true in the journey of heavenly promise. God bless this parish and all who are a part of it and all who will become a part of it in the days and years to come. God bless you in all your possibilities! I spent a week up in Vermont with my newborn grandson recently. 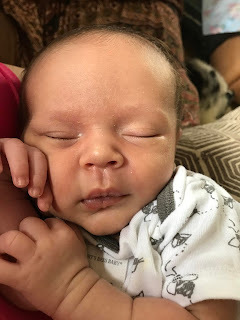 I will state with utter and complete conviction that he is the most adorable baby ever… just as I said the same thing about each of my children when they were newborn and just as I said the same thing about each of my other four grandchildren when they were newborn. Grandmothers, you know? Now I had spent a good bit of time with him doing things like changing diapers, but when she said that, a little voice in my head said, “I’m amazed that he doesn’t smell stinky with no bath for two weeks, particularly with those diapers he’s been soiling.” But the only scent that he exuded was that beautiful milky soft smell of newborn baby. Is there any smell like that in the world? It’s better than new car smell, that’s for sure! Yes, we wiped off the dirty bits when necessary, but despite no bath, Wiley smelled clean and sweet. Would that we could stay that way! We people who are no longer newborn have to follow a different pattern. We need our daily wash-ups, otherwise our aroma will not be sweet. We sweat, we get dirt on us, we eat something that disagrees with us…I go no further down that road – you know what I mean. We have to work a little harder to get clean. Clean…what is clean? That’s the question that’s posed in today’s Gospel. The Pharisees were offended by what they saw as unclean behavior on the part of Jesus and his disciples, who didn’t wash up before their meal. Now this was a big no-no for the Pharisees, because, as the evangelist Mark suggests, this was part of Torah, the LAW. You were supposed to wash up. “[The Pharisees] understood that God’s choosing and calling of Israel was a gift. They also understood that God gave them the law as a gift, to order their lives as God’s people. Their observance of the law was meant to be a witness to the nations around them, to give glory to God. In the book of Exodus, before the giving of the law, God tells the people of Israel that they are to be “a priestly kingdom and a holy nation” in the midst of the nations around them (Exodus 19:6). The Pharisees took this calling to be a priestly kingdom and holy nation very seriously. They interpreted the laws concerning priests serving in the temple to apply to all God’s people and all aspects of life. As priests serving in the temple were required to wash their hands before entering the holy place or offering a sacrifice, the Pharisees believed that all Jews should wash their hands before meals as a way of making mealtime sacred, bringing every aspect of life under the canopy of God’s law. So they really had a legitimate concern: were the followers of this new rabbi Jesus flouting the law in this, and would this mean that they would flout the law in other ways? For the people of Israel, oppressed by Rome, always under siege, Torah was not only a sign of God’s favor, it was a daily reminder of the fact that they were a particular and particularly blessed nation belonging to God in the midst of this crazy world they lived in. It was a survival tool in difficult times, because it reminded them that they WERE different, and they shouldn’t do things like the rest of the world. And yet…was this the only way that they could signify their identity with and following of God? This is the point that Jesus raises in his response to them. The LAW doesn’t stand alone. The LAW is one part of what it means to follow God, to be God’s people. But if it becomes an end unto itself, it’s just not good. Jesus points out the sad truth: the LAW doesn’t address the state of the heart. God gave the LAW to govern the heart, not just set random rules out there. If you follow the LAW and your heart isn’t it, what good is the LAW? If you’re merely checking boxes, your heart can smell to high heaven even if your hands are washed. And here’s the thing: the Pharisees have allowed the LAW to become something that isolates them from others, to make them extra special. “We’re clean and they’re not,” we can imagine them thinking. But are we really clean? And are others really not? We like to think, because we showed up here this morning, that we’re the clean crew…and maybe we passed by someone walking to brunch over at the restaurant around the corner instead of coming here and we think “we’re good and they’re not.” We may be following the letter of the LAW but is our heart in it? Well, maybe Jesus didn’t say that bit about the diaper, but you get my point. So does this mean we don’t have to follow the rules of basic hygiene? Does it mean that we don’t need to show up at church on a Sunday morning? No, that’s not what Jesus says. It’s about the way we take what God has given us – God’s wisdom conveyed through his word, the spiritual joy that we feel in God’s presence, the food and drink for our souls that we share at this table – and how we respond to it. It’s about knowing that, given these gifts, we cannot desire NOT to share what we’ve learned, to offer these gifts to others, to serve…in other words, as our reading from the Letter of James says, to be “doers of the word.” And when we do that, it’s not about mere obedience to a law. It’s also not about measuring whether or not those whom we serve are clean enough to deserve it. It’s not about whether or not they’ve followed the LAW well enough. It’s about the gift of Jesus, given to us despite our own often unclean hearts. If we measured our own worthiness, we might not look and smell as clean as we’d like, but the best way to address that aroma is not a baby wipe, it’s Gospel love. Love without measure of worth, love without judgment, love without shame. Jesus gave it to us, this law of love. Now it’s our turn. And won’t that smell sweet indeed? Well, we’re only three chapters into the Gospel of Mark and we’re already slapped upside the head with the high-risk, no-holds-barred radical nature of Jesus’ ministry. His relatives think he’s crazy and they’ve come to restrain him. The local religious leaders show up and say that he’s possessed by the devil. Then he spits on their theological pronouncements with a difficult parable about a home invasion that says, in essence, I’m the only one strong enough to conquer the devil. And his family once again reaches out, trying to protect him from himself, because in their eyes, this is all crazy talk. Reads sort of like Tennessee Williams, doesn’t it? Meanwhile, the crowd who came to hear him teach and preach is watching and listening and not saying very much. They have good reason to keep their mouths shut. They’ve come to hear Jesus because they are living in a world of pain, a world of oppression and a world that offers no justice or mercy. They have heard he’s got something to say about that. They are desperate people in desperate times, and they hunger for the words of this itinerant preacher. His relatives know that his words are likely to get him killed, and they think they need to protect him, but he turns them away and turns toward the distraught crowd. Well, not so silent after all. At least they pass along the message. And he turns it around. Sounds like he’s angry at them, rejecting their claim on him, rejecting their attempts to protect him from himself. His family is trying to quarantine him by saying he’s mentally ill, the scribes are trying to quarantine him by saying that he is possessed by the devil, but he will not be locked into a quarantine cell of silence. Instead, he refuses the protection of those labels. He embraces those who want to be freed from labels like “troublemakers” or “violators of Torah” or “those stupid Hebrews whom we wring our taxes from.” He embraces those who just can’t stand the status quo anymore, because he is there to tell them that the status quo cannot stand, that it is of the devil, that it is of a broken world, that it is of worldly tyranny. He loves them, and he names them as family, these wounded hurting people. Only three chapters into the Gospel of Mark, and he’s said “it’s time to turn the world upside down.” No wonder the scribes are nervous. No wonder his family fears for him. No wonder that this all will eventually lead to his death. He knows what the cost will be for him, but it’s early enough in the story that not everyone gets it. Now I know there’s a temptation to hear this brief passage and imagine Jesus as a divine Bruce Willis yelling “Yippee-Ki-Ay, you jerks.” With a semiautomatic weapon in his hand. Smashing the bad guys. But there is no weapon except words. There are no bullets except truth. This is not necessarily about Jesus’ divine power, but about Jesus’ …. Love…that’s not the word you were expecting to hear me say, right? And yet this Gospel teaches us something about love. Here’s what I’d like you to do: listen to those words about dismissing his family, who really does love and worry about him, in a different way. Imagine this is not the exclusion of family but the growing of family. To set the stage for hearing those words that way, let me share a story. My parents were married after their military service in World War II. They tried to have a child but it was not to be. Through a strange and wonderful series of circumstances, they were able to adopt me when I was four months old. They were not perfect parents. My mother was tough as nails. My father was a distant and troubled alcoholic. And yet they loved me and cared for me. I never had an urge to search for my birth parents. In fact, I felt special – I had been chosen. They had to work to get me. Years later, when I was raising my own family, one of my sons had a medical problem that might have been genetic in nature. It was something that was not present in his father’s family. So I decided that it was time to try and find out something about my genetic history through my birth mother. I knew her name and I knew the agency through which I was adopted. So I reached out to her through that agency. The social worker was able to be in contact with her, and told her that I was simply looking for family medical history. She did not want contact with me, which was fine – I didn’t need another mother, and I guessed her story was one of pain and loss and sadness. She passed along some information that was helpful, and that was that. I found myself reflecting with gratitude on what she had given me – birth – and what my adoptive parents had given me – life. A life. A grounding, an identity, love, an education. Values. Recipes. Traditions. Stories. A life. We choose our heritage in baptism, because Christ has already chosen us as HIS heritage. Not just our immediate circle of family and friends, but also our family of love in Christ. And just like families, particularly those families that we have chosen and been chosen by, it’s not always easy. Jesus certainly understood that. But the gift of this heritage of love is that it is always turned outward to that larger family of all humankind, of all of God’s creation. That’s not to say that heritage doesn’t matter in our day to day lives. You know our reality: when someone asks you about family here in the South, they’ll often phrase it “Who are your people?” They want to know who your mamma was, are you related to those Smiths that used to go to St Paul’s, didn’t your daddy go to St. Christopher’s? Ezra Pound, that crazy old expat poet, would say that it is that which we love. But you know the answer too. It’s why you love…because Jesus did first. And it’s why you will continue to love, because Jesus never stops loving us. 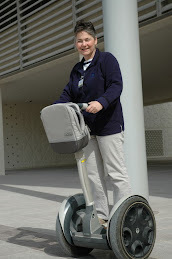 The social worker moved slowly, unlike her normal crisp trot through the hospital ward. The mother of the dead baby sat in a corner, looking like she had been scourged – what other way is there to look, when your son has died? The baby, born with a myriad of health problems, now lay even more still than he had in life, when he was tethered to whirring machines that pumped and breathed and vibrated through him. Now all was quiet. And the social worker slowly, reverently made plaster casts of the tiny feet and hands to remember the baby by, so the mother could recall that this was not a dream, that it was real, that he was dead, but he had been hers, growing within her and then drifting away from life just a few days after his birth. And then the social worker softly lifted the tiny feet and made inked footprints, and asked the mother if she wanted to hold her son, her tiny, still, dead son, in her arms for a picture. Oftentimes, in the feverish clutch of loss, mothers forget what their little ones looked like…and so, now that all the tubes and lines and cords were gone, the mother could hold her boy and a picture could be taken, all that mother’s love evident in her caress of his arm, in the kiss on the top of his head, in the gentle rearranging of the smallest hospital gown you can imagine, in the stillness of the moment, before his body would be taken away from her forever. It was a moment of ritual and it was a comfort and a reminder of holiness in the midst of pain. One of the things we learn about death, about loss, is that it is too much to bear in the moment, and to help carry us through those first hours and days, rituals can be a gift. When the reality is crushing, ritual can structure our space and time enough so that we can survive. We can make some small meaning of what is happening by following ancient patterns of behavior that distract us from the pain for a moment, so we can catch our breath. We need ritual in the face of death, so that we can live. That is one of the reasons why ritual plays such an important role in the church, because we are always in the midst of deaths of one kind or another. Sometimes it’s the death of a beloved. Sometimes it’s the death of a dream, either our own dream, or the dream of a parish, or the dream of a nation. Sometimes we dream of a return to a past, happier time, then wake up and discover that we are in the here and now. And so we structure ways of dealing with those deaths to comfort us, to help us face the harsh reality, to begin to turn toward the future. We structure rituals to remind us we are still alive. In this poignant reading from the Gospel of Mark, a ritual is playing out. The women who were a part of the community of disciples had been unable to attend to the rituals of death properly immediately after Jesus was laid in the tomb and the stone was rolled to close him in – such a finality to that! – but they decided they would go the next day to anoint him, to prepare his beloved body as had been ritually done for centuries, to comfort themselves even if they could not comfort him anymore. They arrived with the water to wash him, with the oils to rub into his skin, with the cloth to wind around him, with the spices that would be tucked into the folds of the cloth. They could hardly believe what had happened in all its brutality and viciousness. They could hardly believe what their eyes had told them, that their beloved, their rabbi, their Lord, had been killed, but they knew it was done. And yet there was one last thing they could do for him, for themselves, so that they might touch his skin one last time, so that they could honor him…to carry out the rituals of burial, so that they could live. We can picture them walking in the early morning half-light, with the materials they needed slung in carrying-cloths over their shoulders, walking to the cave in which Jesus’ body was buried. Perhaps they walked briskly at the start of their journey, and slowed up, hesitating as they approached the tomb, wondering if they could manage to roll the stone away, wondering if they could bear it to see his broken body, wondering if they were strong enough for this holy and heart-rending work, but relying on the rhythm of it, a rhythm that what so familiar that they could do it with their eyes closed if need be, the rhythm of ritual that would help them face the death of one who meant so much to them. …and then he spoke. "Do not be alarmed; you are looking for Jesus of Nazareth, who was crucified. He has been raised; he is not here. Look, there is the place they laid him. But go, tell his disciples and Peter that he is going ahead of you to Galilee; there you will see him, just as he told you." Incomprehensible. He has been raised? What did that mean? They were braced to see him in death. Now he wasn’t here and this stranger was telling them that he would meet them in Galilee. There was no ritual structure to address this situation. Jesus had been dead but now, apparently, he wasn’t dead. They had been prepared to address his death with rituals that were prayer and comfort. 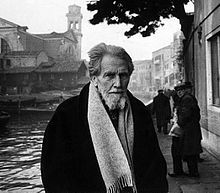 It seemed that was no longer required, and there was no substitute to face this new understanding of what was happening. The ritual had been broken open, cracked into a thousand pieces, since death was no longer the dominating presence in the tomb, in their lives…Jesus lived. No, more than that: Jesus lives. So what happens when rituals are broken apart, when presence and possibility collide and that which breaks our hearts open shifts and bends, and presents us with a wildly beautiful new reality? What happens when the finality of death emerges into the glorious infinitude of eternal life? What happens when the tomb cannot contain death, because life triumphs over it? Perhaps a new ritual is called for in these rare moments when our hearts have been broken open and new life has flooded in…when resurrection – incomprehensible, mysterious, transcendent – supplants death. In orthodox icons of Jesus transcending death, he stands atop the cross. He lifts the dead from slumber. He conquers what attempted to end him, but could not. This night, this Easter vigil, is the ritual that takes our broken hearts – broken at the darkness of the world, at corruption and sin and oppression and pain – and shows what has been born out of that brokenness. This ritual is the retelling of the story of God’s love for us all through generations upon generation, through our repeated failures to honor the covenant that God made with us, through God finally sending someone who walked with us and looked like us and talked like us, through humanity killing that one who was sent to save us, to this one end: Jesus’ death is not the end of the story. The burial ritual is not the closing of a door. This is the ritual that reminds us that Jesus’ death is the START of the story. Resurrection is not just possible – it is PROMISED. It is promised in that long and somewhat repetitive story of God’s persistent love. We live into our understanding of the joy of the resurrection in this ritual because we have experienced the power of ritual when we were in pain. Our hearts are broken open so that the light can come in. And we learn this night, above all other nights,that our ritual is not merely comfort, it is promise. Jesus conquers death tonight and all nights. Christ is risen. He is risen indeed! Good morning! 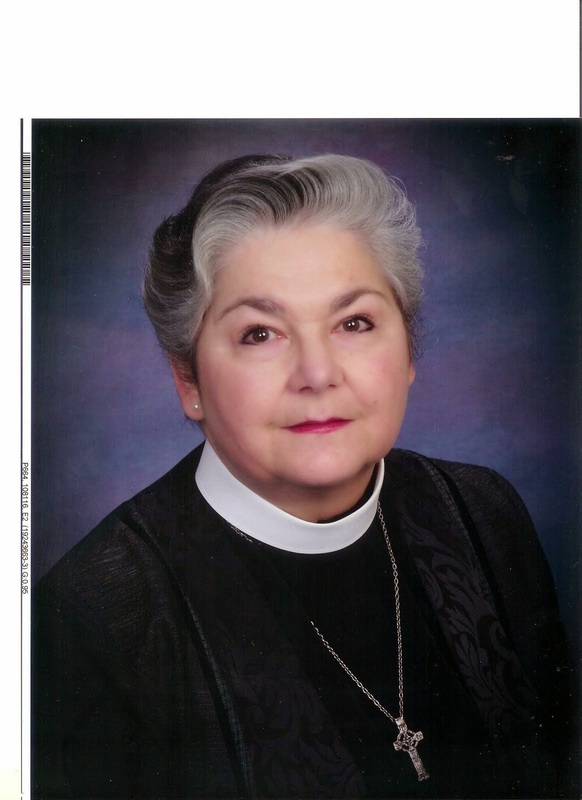 I’m Mary Thorpe, Director of Transition Ministry for the Diocese of Virginia, and I’m here to celebrate with you – your time in-between is just about over. Next week you will welcome your new rector as he begins your ministry among you. I’d like to reflect on how this time of transition has been for you all, and where God has been in the midst of it…because God is always in the midst of it. And now as they continue to proceed through the desert, they’ve got a problem – they keep getting bitten by snakes. Not a surprise – it’s the desert, after all, and any creatures that can survive there are going to be tough and nasty. 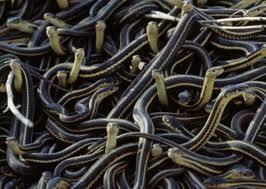 Snakes. And God once again provides, when he guides Moses to create of a talisman of sorts, a bronze snake that encircles his walking stick, and whenever someone gets bitten by a snake, if they look upon that talisman, they survive the snakebite. Great stuff! God keeps on providing even though these people of his are whiny complainers who seem to forget what has already been provided for their journey about fourteen seconds after they’ve received it. Before they get to the Promised Land, there will be a lot more of this, and they will keep complaining. But God continues to walk with them, because that’s what God does. God so desires to be in relationship with God’s people that God doesn’t step away, doesn’t refuse their cries for help, doesn’t abandon them, even when they abandon God. I raised five teenagers. Five. Now those of you who have survived raising teens knows that when you are in relationship with someone you have created, made in your genetic image, they don’t always appreciate what you’re trying to do for them, and they sometimes treat you less than lovingly, but you still love them, and you still do not turn your back on them, even though they may have frayed your last nerve, because you love them, and these teens are going through their own journey to maturity, and it’s hard and there are poisonous snakes out there that threaten them at every turn. You love them through it all, even the most difficult moments. I wonder if God feels that sometimes, too, with us human beings. This parish’s journey to get to this day has been a complicated one, marked by pain but also marked by grace. You wondered if you could survive the departure of a beloved rector who was, for some of you, the only priest you ever knew. How would you be spiritually fed? Who would comfort you? Who would inspire you to follow Christ? God provided. You had two wonderful associate priests who remained. Thank you, God, for V. Thank you, God, for M. You had professional staff and lay leadership who were asked to take a larger leadership role, more in line with the way we now know that churches function best, in collaboration with the clergy. Thank you, God for the professional staff and the Vestries! Remember that, because it will be important in the future. In addition, you had a gifted interim who came and did the difficult work of helping you to imagine how you might be church in a fresh way. It is a fact of life that there is always a need to examine the way a church functions, administratively, pastorally, spiritually, when there is a transition. Implementing best practices as they are now conceived, helping staff work together effectively, making the hard calls when change needs to occur: all of these are the work of the interim. Those priests who do this work know that they will probably step on some toes and skewer sacred cows – they do not do this work to win your hearts, they do it to prepare this fertile soil for the seeds of a new relationship with the next rector. And it is true that some of you didn’t much care for some of L’s decisions. But he did precisely what he was supposed to do – to reorient, to open hearts, to shift the manner of conversation between ordained leadership and lay leadership, to till the soil of this wonderful parish. It did not always go smoothly, and here I’m going to name some hard truths that might make you a little uncomfortable. The tension over the dismissal of an employee was not surprising – termination of employment in faith communities is never easy, but this was truly necessary. But I would point out one important thing to attend to: if your former rector had done the firing, there would have been no push-back, because he was R and you trusted his professional judgment. But it wasn’t R who did this, it was L. And you had not had the time to build up the trust relationship that would have allowed you to give permission to L to do what he was ordained and called to do. So there was tension. Remember that, because it’s important when we talk about what’s coming next. But thank you, God, for L! What happened in this time of change wasn’t forty years in the wilderness, and L would be the first to say that he isn’t Moses, but here’s the next thing I want you to remember: J isn’t Jesus. For those who are happy that the interim is gone, and who think that J is the magic priest who will make all sorts of magical things happen, remember that. J is a priest who serves Jesus and Jesus’s people. He is not Jesus. He cannot do the work alone. If you have discovered anything during this journey, you have discovered that you are strong, capable, resilient people of faith who can imagine and plan and implement the next chapter of the story in this place and this time. You don’t get to forget that when J arrives. You don’t get to say “the priest is here now, I can go back to just sitting in the pew and listening.” You are the church. Each and every one of you, beloved children of God, created in God’s image, gifted, capable, loving…you are the church and you are all workers in the vineyard. Here’s the secret you’ve discovered as a result of this time: priests come and priests go – we are all temporary companions on your journey – but the church is still the church, and you are this church. Priests have a particular role in the church, sacramentally, pastorally, as educators, as vision casters, but the church is the people, each and every one of you, which means you all have your roles as well. Thank God for each of you! So what does this mean for you on the eve of the arrival of your new rector? First of all, what joy and blessing to have reached this point! Your Discernment Committee did brilliant, prayerful, spirit-led work that matched the deep discernment work that J did, and that evolved into continued discernment between J and your wonderful Vestry. …which leads me to my second point: mutual expectations. In some ways, the relationship between priest and parish is closer to a marriage than employment. My husband is a therapist who does a lot of work with couples, and he often reflects on the fact that if one partner doesn’t tell the other what their expectations, their hopes, their dreams, their worries are, it’s a recipe for problems. If I don’t know what you think I’m going to deliver, I may offend you without even knowing that I’ve done so. And if you punish me for that offense, especially if you say something like “you should KNOW what you did wrong,” it’s not going to get better. We love God and God loves us. We look for God in each other, and we treat each other with dignity and respect. We share our hopes and dreams and listen for others’ hopes and dreams. Every voice has value and should be heard, but not every dream can be fulfilled. It’s about God and God’s will for this place. Priests are human. They occasionally make mistakes. Parishioners are human. They occasionally make mistakes. We show each other grace, offer forgiveness, and try to repair breaches. There is only one judge, and that’s Jesus Christ. When it’s about winning, it’s not about God. We strive to fulfill God’s will, not win an argument. Do think about what kind of covenant of mutual expectations you and J might share it’s a recipe for living as God wants us to live. One last thought: God has sent you J. He has gifts, skills, experience. He is unique. If you start your time together looking backward to compare him with your prior rector, you deny yourself the possibility of looking forward to what God has in mind for you. You might miss what God is planning…and I have no doubt that God has great plans for you, and that with J as your spiritual leader, you can fulfill those plans. The time-in-between is over. Put on a fresh pair of walking shoes, because the next part of the journey, the beginning of your work together, awaits. God bless this parish, God bless you for what has gone before and what will come to pass, and God bless your new rector! No, I didn't fall off.